Whether you approach us with a fully completed design or need to have a part designed from scratch, we are here to help. Our engineering team is highly skilled at auditing part designs and can collaborate alongside your team to ensure that a mold can be designed around your part in the most efficient manner. 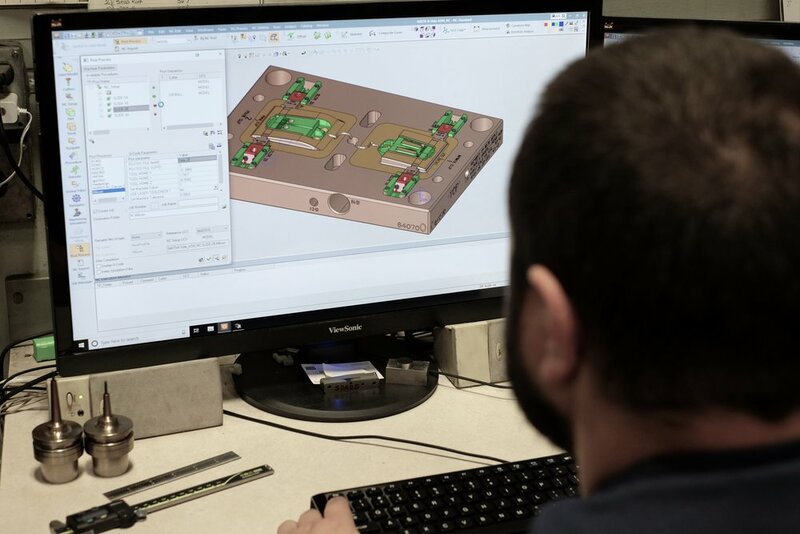 Utilizing the latest technology in both mold design and mold flow software, Carson’s team is able to design your mold around your individual performance and durability needs. Just as all part designs are unique, so are mold designs. We specialize in all types of injection and compression mold design from prototyping to single and multi-cavity molds, with cold or hot runner. Carson Tool & Mold combines the latest technology with the tool-making craftsmanship and experience needed to build, fit and assemble your mold. Whether building new molds and components, repairing, refurbishment or preventive maintenance, you can be assured that your assets are in good hands. All work is manufactured in our 24,000 square foot climate-controlled production facility. Browse our “About Us” section of site for a complete list of equipment that we utilize. We offer full post-production mold trial testing on-site to ensure your mold is operating at optimum performance. We currently offer both 120 ton hydraulic and 400 ton fully electric presses with the ability to either provide a fully-trained process technician or utilize a customer-provided processor. Whether you simply need Preventive Maintenance service on your mold or a complex repair, our team is fully qualified to efficiently handle your needs. We repair most all injection molds up to 10,000 lbs. regardless of manufacturer, and also offer pickup and delivery service. © 2018 Carson Tool And Mold All Rights Reserved.